The Odyssey Premiere Eb Tuba is a great instrument for the beginner and advancing musician. Made from a brass bell, this instrument has a wonderful mellow tone. It is suitable for all varieties of playing, from wind and brass bands to orchestras. It has been finished in a decorative silver plating with gold lacquer slides and valve caps. The Premiere Tuba also includes a 4th Valve, which is attached to the side of the instrument that converts the instrument from Eb to Bb. This is advantageous for musicians who require a larger range of notes and more scope at the bottom end of the scale. 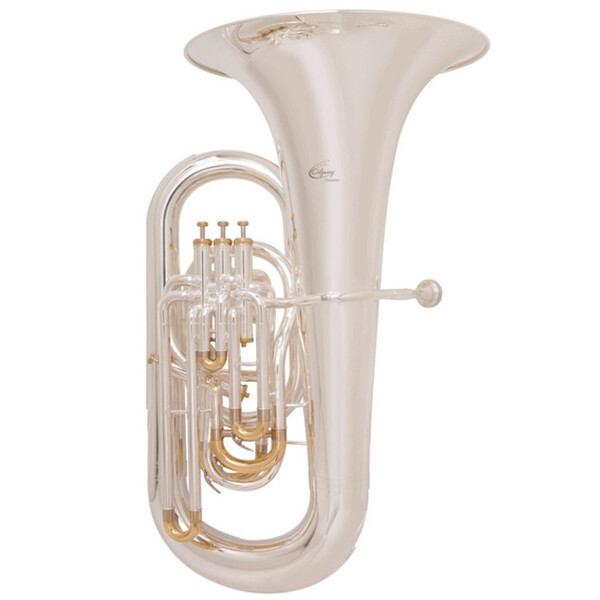 The tuba also has a compensating system, making it an easier blowing instrument throughout the range of notes. Complete with its own custom designed carry case, each instrument is individually serial numbered providing peace of mind and traceability should you wish to insure your treasured instrument. a mouthpiece is included with this instrument so you can start playing straight away.